New Delhi : Congress vice president Rahul Gandhi's social media (Twitter) account was tonight hacked and expletives-laden tweets were posted. His office confirmed the news and also said that efforts are being made to restore the account. Congress party made best use of the situation and raised questions over Prime Minister Narendra Modi’s digital India dream, saying what is his government doing to ensure digital safety. It has been learned that Rahul Gandhi’s Twitter account was hacked around 8:45 pm, its official name "@OfficeOfRG" was also changed. "Such lowly tactics will neither drown the sane voice of reason nor deter Rahul Gandhi from raising people's issues," Congress chief spokesperson Randeep Surjewala said. 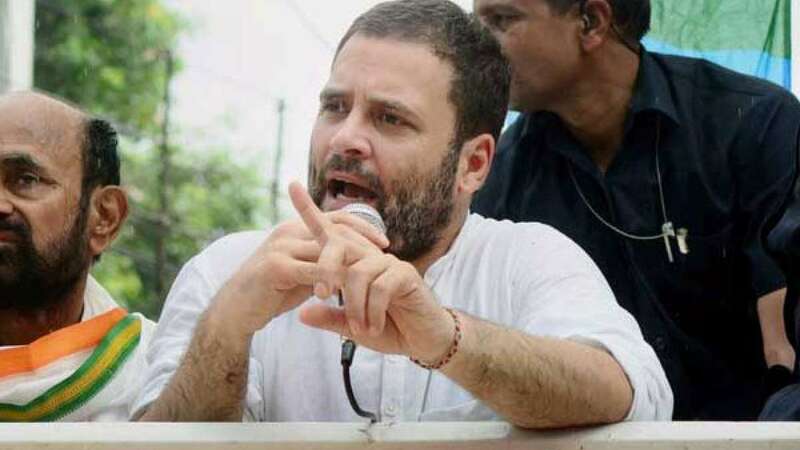 "Such unscrupulous, unethical and roguish conduct of venal trolls to hack Rahul Gandhi's Twitter handle reflects disturbing insecurities of prevalent fascist culture," he said. Surjewala also tweeted, "Pre-meditated hacking of @OfficeOfRG smacks of a sinister conspiracy to abuse and intimidate. It strengthens our resolve to fight for the Nation." "Hacking of@OfficeofRG proves lack of Digital safety around each one of us. Every digital info can be accessed, altered, morphed & modified," the Congress leader said in another tweet.